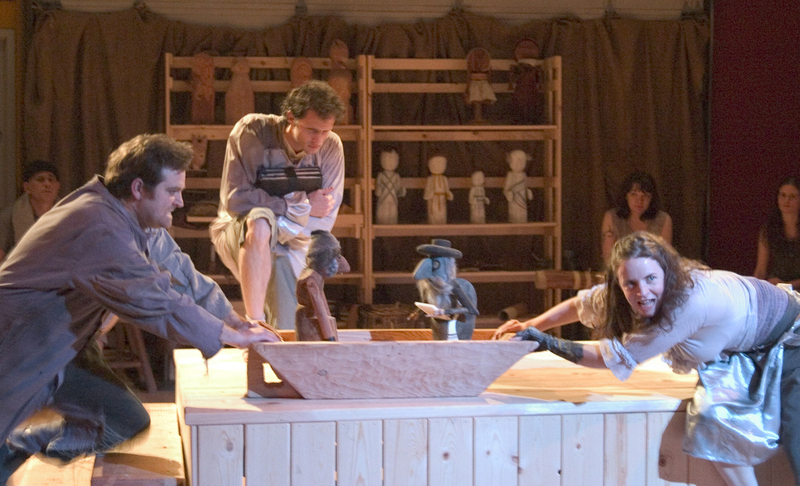 "It's reassuring to see that five years past their last visit to Portland, Poland's Wierszalin Teatr still has a hold on local puppeteers' imaginations. 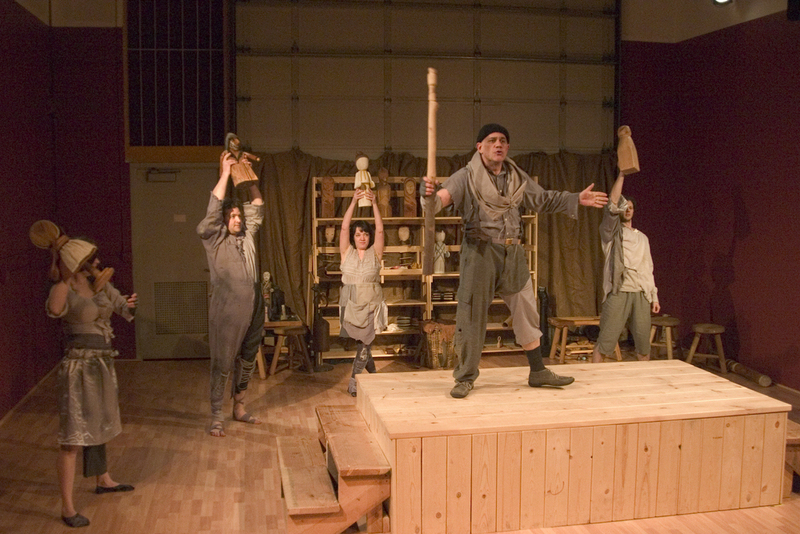 This evening of six short folk tales from around the world utilizes Wierszalin's singular style, particularly in the full physical presence of the puppeteer, where the very solid puppet (which can be a highly abstract construction of kitchen utensils as well as a rough birch log) represents the material world, while the human behind it exists in the spiritual.... the performers (Faith Helma, Ted Schulz, Mark Hayes, Ben Plont, Lesley Harper and Erin Leddy) are energetic, and the puppets themselves are often true works of art." 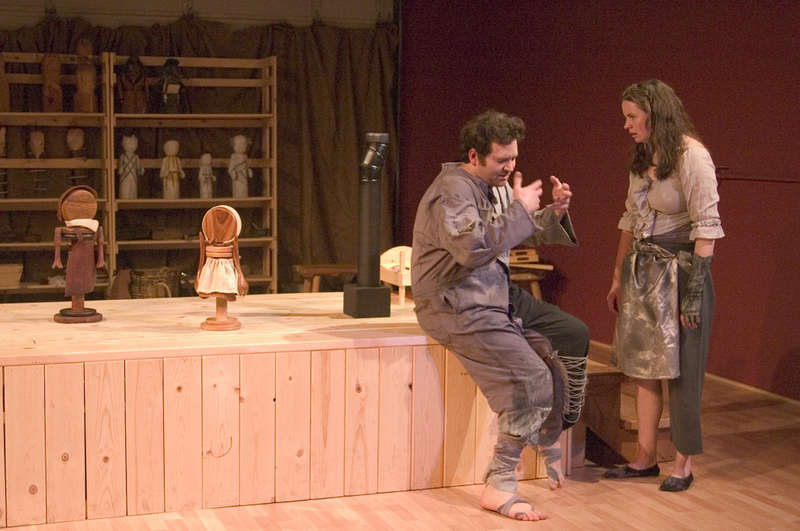 "The quietly innovative Hand2Mouth Theatre's last production, Wild Child, was notable--among other things--for its reliance on a simple wooden puppet. Having demonstrated the raw power basic puppetry can still wield in this modern world, Hand2Mouth has moved on to an even greater challenge with their current production, Mysteries of the Heart . Directed by Michael Griggs from a script he penned with Chris Harris, Mysteries of the Heart is a collection of darkly funny folk tales from a smattering of different cultures, grounded in a traditional Polish theater technique wherein characters are represented by what are basically stiff, wooden dolls. With excellent Hand2Mouth company members Erin Leddy and Faith Helma on board, as well as veteran local stalwarts Ben Plont and Ted Schulz, the performances in Mysteries are exuberant and committed. Playing an array of storytellers, animals, and spirits, the actors weave seamlessly through an odd collection of folklore from around the globe, including a funny Yiddish morality tale... eerie Native American spirit-world sagas ... and stories from the decidedly bleak Brothers Grimm...If anything, the figures portray the ultimate Mystery of the Heart: the true nature of our bodies. We are lumps of matter given life and breath by something outside ourselves, something that we will never understand"
Mysteries of the Heart is currently unavailable for touring.